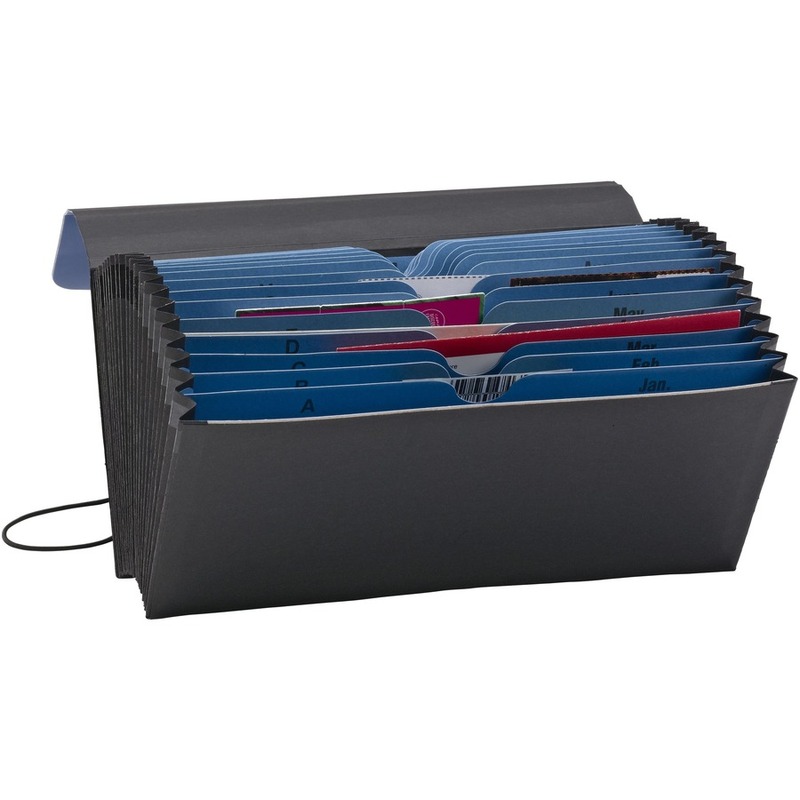 Organize checks, statements, coupons or other small items with this handy file. 21 pockets each expand to 7/8". Tabs are indexed A-Z and January to December for versatile filing. 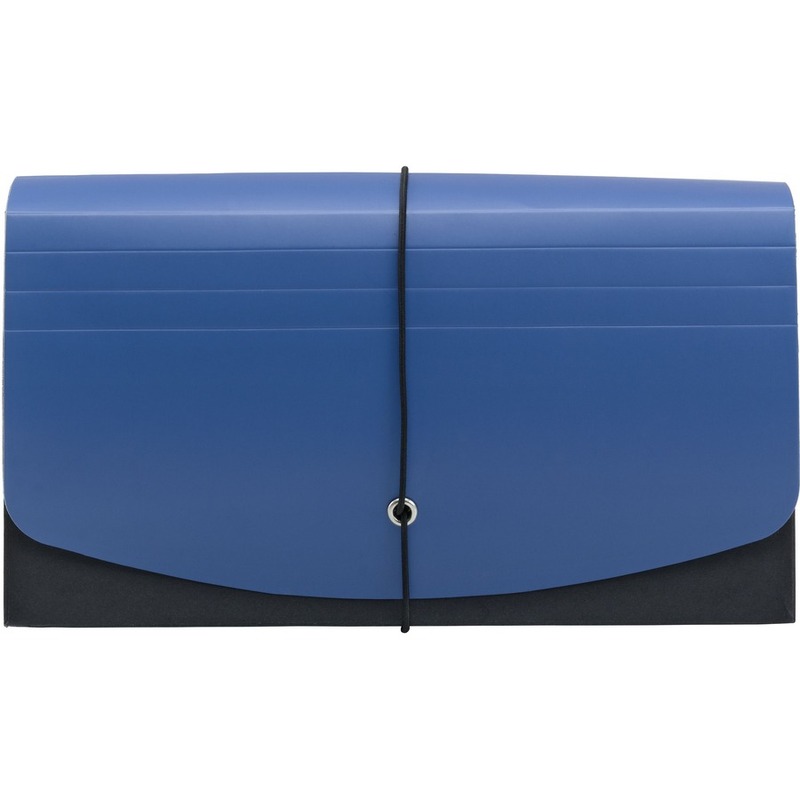 A sturdy flap with cloth ties protects important documents. 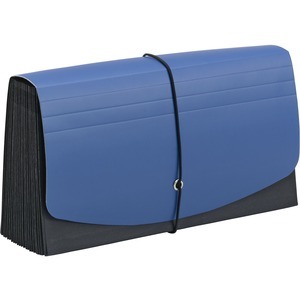 File is made of heavy-duty pressboard front panel, back panel and flap. 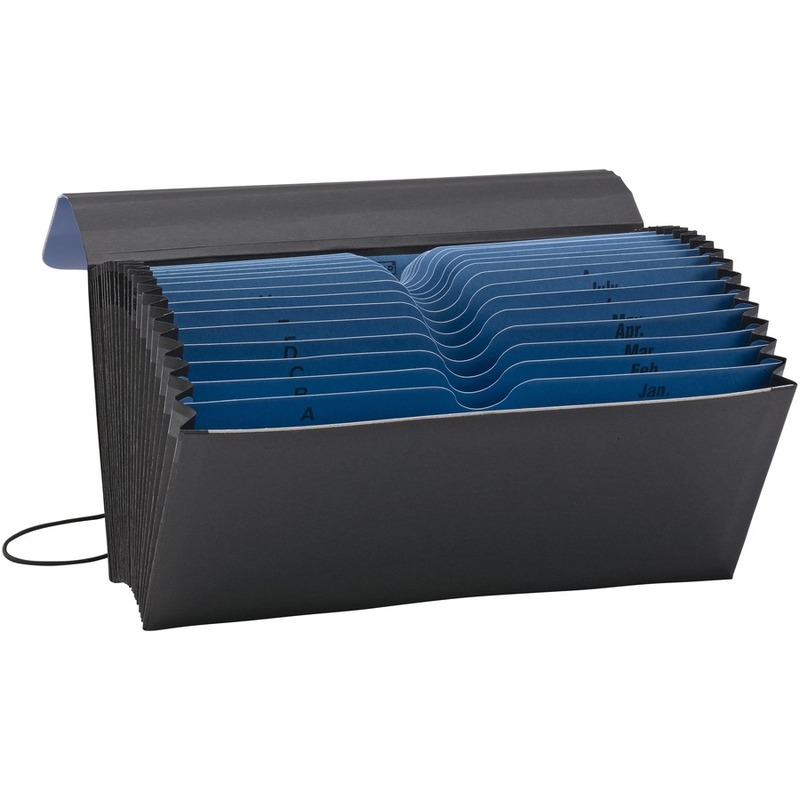 Dividers are thumb-cut at the top for easy access. Design also includes full-height manila dividers and gussets and Tyvek reinforcement at top of gusset.